​Salomon Rondon has revealed he has spoken to his agent and club officials at Newcastle regarding his intent to make his loan move to the Magpies a permanent one. 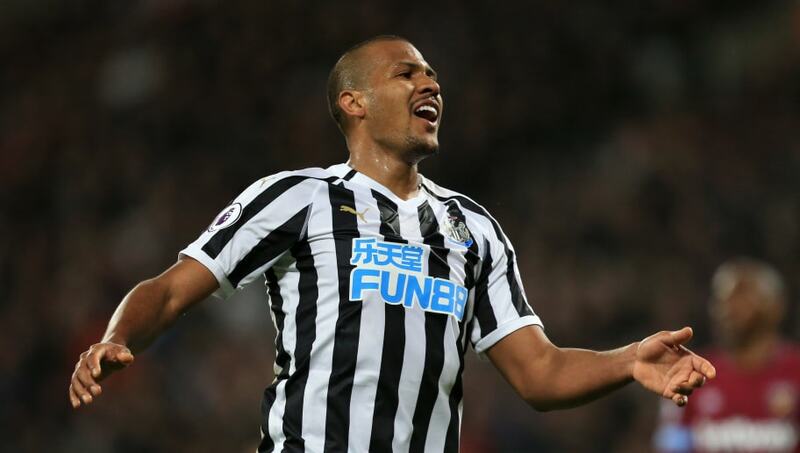 Rondon joined Newcastle last summer on a season-long loan deal from West Brom and has flourished on Tyneside, scoring seven goals and adding four assists in 23 appearances in the Premier League. But with nine games of the season remaining, the Venezuela international has revealed his desire to stay at ​Newcastle. Rondon told the ​Chronicle: "They [Newcastle] know what I want and what my family want. "I have spoken with them and made it clear. If there is an opportunity for me to be here - I'll stay here 100%. "If not I will say thank you to everybody and see what happens next." Losing Rondon would be a key blow to Rafa Benitez, considering the Magpies inefficiencies in front of goal this season. The Toon are the third-lowest scorers in the division on 26 goals, with only Cardiff (25) and Huddersfield (15) below them. Listen to St. James' Park roar... what a win!! There were rumours that Newcastle were tying to sign Rondon to a permanent deal in the January transfer window, but the 29-year-old quashed that idea. "I don't think so. I was focused on games in December and January as there were many, many games. "I have left it all to my agent." Rondon also reiterated his pride at playing in front of the St. James' Park faithful, as well as his joy at living in Newcastle. "It's a pleasure to be here and my family are settled and happy to be here. I play with the number nine on my back and it's a pleasure for me. After that we will see what happens. I am still on loan but if I get to stay here then I'll be at a beautiful place. "If not I will say thank you and wish you all luck for the future."